No pets allowed, except for service dogs. Do you see the problem? A lot of people don’t, even people who try to be conscientious about accessibility and disability issues. Take a second look at both clauses of the sign. Think for a moment about what the sign is suggesting. Are you there yet? No? The sign is saying that service dogs are pets. No animals allowed, except for service dogs. I do not know how many times and in how many ways I can say this, though the ADA certainly gives it a go. A service dog is a dog (of any breed — there are no ADA restrictions on the type/kind of dog people can use as a service animal, though Golden Retrievers are very common) who has been trained to perform a set of specific tasks for a handler. Many people are familiar with guide dogs, which help blind and low-vision people get around. There are also hearing dogs, seizure dogs, diabetic alert dogs, psychiatric service dogs, and numerous other kinds of service dogs. They perform tasks that people cannot perform for themselves, or assist people with tasks of daily living so they can remain independent. Service dogs are not required to wear livery, there’s no such thing as service dog ‘certification,’ people aren’t required to show papers to ‘prove’ that a dog is a service dog. If someone has questions, they can ask which tasks the dog performs, but they cannot ask about the nature of someone’s disability. The only time a service dog can be asked to leave is if it is causing a disruption because it’s poorly trained and can’t settle down. That’s quite rare, because service dog handlers rely on their dogs and their ability to be mellow and focused, and it’s dangerous and frustrating to have a dog who behaves reactively. Many people see a dog and think ‘pet,’ but in fact, dogs are working animals. 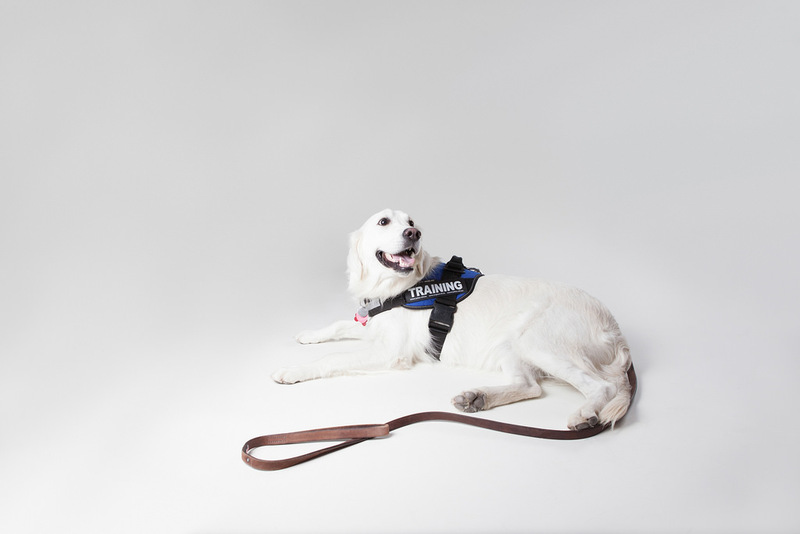 Service dogs are one example of a working dog — people also train dogs for drug, bomb, and contraband detection, security, herding, and a variety of other tasks. These dogs are not pets, though they belong to the same genus and species that pet dogs come from, and sometimes come from the same sources, as breeders and shelters alike can supply working dogs and pets. Lots of pets are also trained to perform specific tasks, and some are extremely well-trained, but they are, again, not working dogs, and working dogs aren’t allowed everywhere: Service dogs are. This may seem like a petty distinction and a lot of fuss over a single word on a sign, but it’s not. People who use service dogs are often (illegally) challenged, and people don’t understand what their dogs do for them and how. That has big implications for disabled people who rely on service dogs to get things done. When people imply that service dogs and pets are in the same category, it suggests a lack of understanding about what service dogs do. It also encourages people to pretend their dogs (or other animals) are ‘service animals’ in order to access the benefits of the ADA, namely, the ability to take their pets everywhere with them. That’s dangerous for service dogs and their handlers, and it’s often bad for pets, as well. I very rarely encounter businesses that make this differentiation correctly. Signs like these send a signal — they tell service dog handlers how disability-friendly a business is, they tell members of the general public something incorrect about service dogs, and they comprise a form of emotional access. A business indicating that it clearly understands that service dogs are not pets, while still wanting to exclude animals, is one I feel more comfortable doing business with, just as I feel more comfortable in an animal-friendly business that makes it explicitly clear service dogs have precedence. People who use service dogs tend to get a lot of stares, comments, manhandling, and other negative interactions in public. It’s stressful and not very fun to be using a service dog in part because people don’t understand that this is not a pet: It’s a working dog who is on duty. The lack of interest in learning about these distinctions is a big problem, and it’s definitely been exacerbated by the muzzy and often deliberately vague assertions about ’emotional support animals’ (which are not service dogs, and are a story for another day). Disability is a life heavily accompanied by microaggressions. They’re often small and subtle, like this sign, but they extend into big consequences. Walk by signage equating service animals with pets enough times and you start to think that it’s okay to treat service animals like pets, rather than respecting the privacy of their handlers and the fact that they’re working. Encounter signs like this frequently enough, and it puts a damper on your ability to enjoy your community in the company of your service dog. This is what forces service dog handlers to the margins, or pushes them to put livery on their dogs when they might prefer to go incognito, because there is a fundamental social disconnect when it comes to a pretty important determination. A service animal is usually a beloved member of the family, but also one in which someone has invested thousands of dollars worth of training, and one who is often on the job when out and about. To refer to service animals as ‘pets’ is inaccurate and demeaning, and it’s not particularly fair to pets, either.